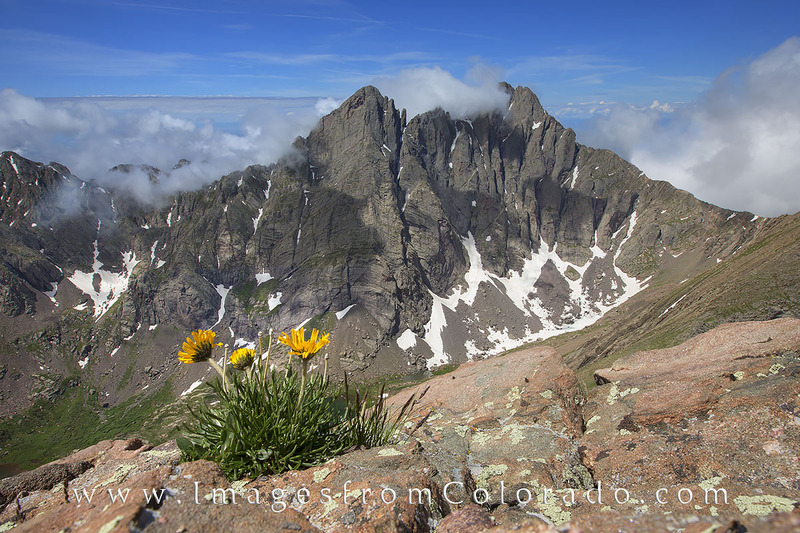 This little sunflower known as "Old Man of the Mountain" has a great view of the Crestone Needle (14,197') and Crestone Peak (14,294') two of Colorado's 14ers. With my legs dangling over a ledge to get low enough to capture this wildflower with a summit in the background, I enjoyed the view from the slopes of Humbolt Peak (14,064'). Photo © copyright by Rob Greebon.